Home/Blog/Dog Training/Must-have Preparations to Train Your Dogs? 1. First choose a dog according to your living habits. After centuries of cultivation, dogs are now one of the most diverse species. Each dog has a different personality, not all dogs are right for you. If you are raising a dog to relax, don't choose a Jack Russell Terrier. It is extremely energetic and mad all day long. The bulldog is a better choice if you want to stay on the sofa for a whole day. Do more research before raising a dog and ask for advice from other dog lovers. Because most dogs can live for 10-15 years, raising a dog is a long-term plan. Be sure to choose a dog that is right for you. If you haven't gotten married yet, think about your plans for a child in the next decade. Some dogs are not suitable for families with children. Choose a dog according to your actual situation. Don't choose a dog that needs a lot of exercise just because you want to force yourself to start a healthy life. If you can't insist on taking a dog to exercise, you and it will be very upset. 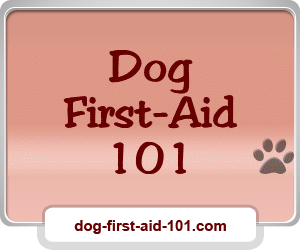 Write down the habits and basic conditions of the dog you are raising to see if it suits you. If the dog you are raising will make a huge difference to your lifestyle, it is recommended to choose another variety. In order for the dog to easily remember its name and concentrate during the training, you should give him a clear and loud name, usually no more than two syllables. This way the dog can distinguish its name from the owner's words. Call as many names as possible when playing, playing, training, or anything that needs to attract attention. If you call the dog's name, it will look at you, then it is to remember the name. When it responds to your name, actively encourage or reward it so that it will continue to respond to your call. Extended reading: Top 10 most popular pet names in 2018 ! Have you got this? Dogs, like children, have a short concentration of attention and are easily bored. Therefore, training should be done several times a day, 15-20 minutes, to develop good training habits. The training for dogs should be every minute that runs through you and not just the fixed training time per day. Because every moment it communicates with you is learning from you. Not only must the dog understand the content of the training, but also let it be remembered and implemented into life. Therefore, always pay attention to dogs outside the training time. Keep a calm and sensible attitude when training dogs. The uneasiness or anxiety that you show will affect the training effect. Keep in mind that the purpose of training a dog is to consolidate its good habits and punish bad habits. In fact, developing a well-trained dog requires some determination and belief. 6. Get ready to train the dog's equipment. A two-meter leather cord with a collar or strap is the entry gear. You can also consult a professional dog trainer to see what kind of equipment your dog is suitable for. Pups don't need too much, but older dogs may need a leash to concentrate their attention for a certain period of time. Rabbitgoo is a good place to find all the pet gears.